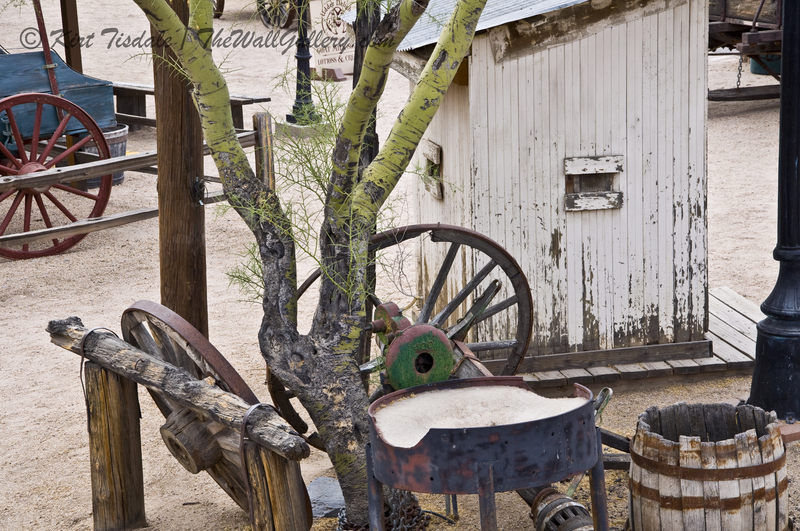 The excerpts from a photo shoot I want to share today are from Cave Creek, Arizona. 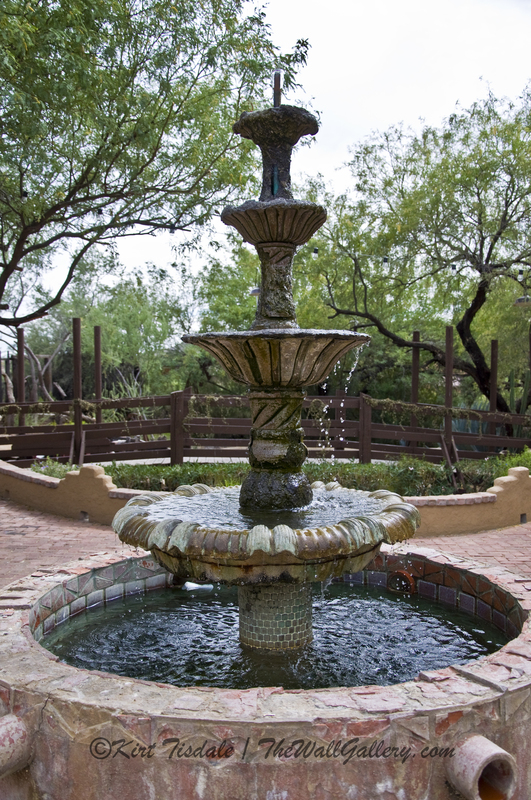 Cave Creek is located in the extreme northern end of the Phoenix metropolitan area and has become an extremely popular destination for tourist. Keeping the spirit of the “Old West” alive, the town has the look and feel of those days gone by. I have attached four shots out of 90 that I took and they all come from a re-created old west town that today serves as shops for tourists. There are numerous carriages and wagons lining the main street next to the wooden walkways typical for an old western town. For a photographer, it’s a dream come true for creating old west art prints and photographs. The first photograph is of a courtyard located towards the back of the town right off of main street. I like the look of the fountain and took a couple of shots to see what I would get. The composition of the next shot gives you an idea of just how much “Old West” items are around this town. There are wooden wagon wheels everywhere and I loved the old outhouse at the end of the street. The third photograph shows some of the shops and the wooden walkway with a carriage in front. The fourth and final capture shows a replica of a Native American Indian teepee. 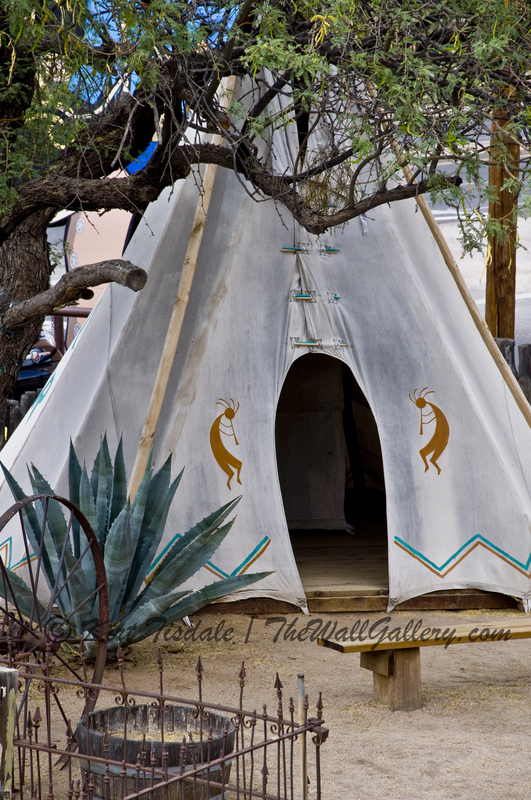 The keynote here is replica, as an actual teepee (or tipi) was constructed of animal skins and was without wooden floors for ease of mobility. I haven’t decided what I will do with these particular photographs, but wanted to share them. What I usually do after a photo shoot is take a quick inventory of the results to see what I am interested in doing something with. In this particular case, I was getting ready to update my Sepia Photography Collection, so that was foremost on my mind with this subject matter. I pulled a few of the shots and added them to that collection. The rest of them, I will sit on and go back to them at a later date to see what I visualize at that time. Most of my painting prints come from that process of waiting and then revisiting. Thoughts? 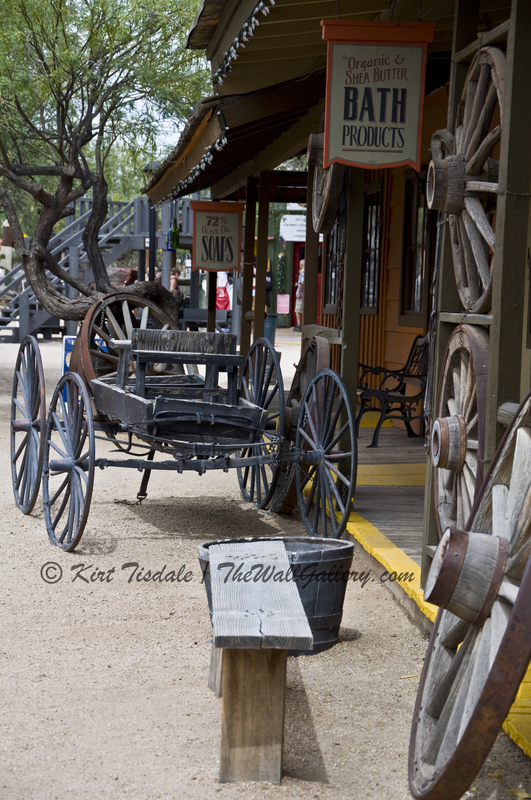 This entry was posted in Color Photography, Photography and tagged arizona, carriage, interior design, kirt tisdale, old west, online art gallery, photographer, wagons, western, wheels on July 16, 2014 by Kirt D Tisdale.